Cat person. It's a loaded term. Some of us wear it with pride, but sometimes it's used as an insult (the word "crazy" is often attached). I've considered myself a cat person as long as I can remember; my obsession with cats started as a child. Others may not come into their own as a cat person until later in life. Many of us do identify as cat people enough to accept that label and admit that we feel some intense sort of affection toward, or intrigue at the species Felis silvestris catus. It's not just living with a cat that makes you a cat person; and it's not just self-identification -- there's something more (nor is it just a matter of taking one of the dozens of on-line quizzes you can find here or here that will tell you if you are one). But what is that something? Nowadays, cats rule the internet; but has their status in the real world changed? 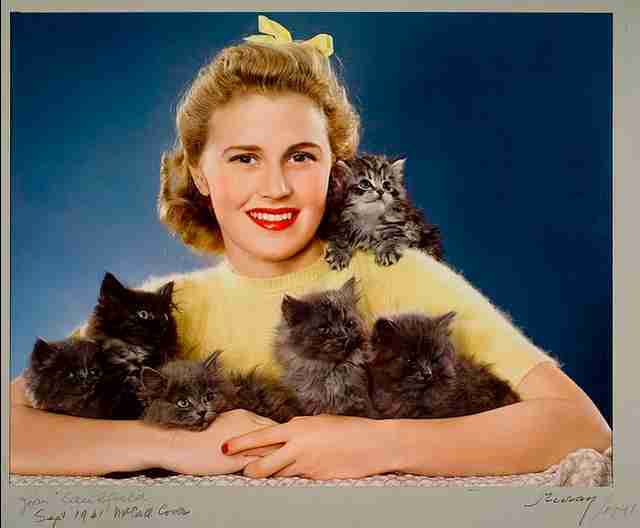 And what does this cultural cat-obsession mean for cat lovers? I think now is the perfect time to take a closer look at what being a cat person means -- from a historical, scientific and personal perspective, in this three part series. First up, history. What must have it been like to domesticate the first cats who became companion animals? Who was the first person to interact with a feline and think "I am a cat person"? Our history with cats is still a little fuzzy. 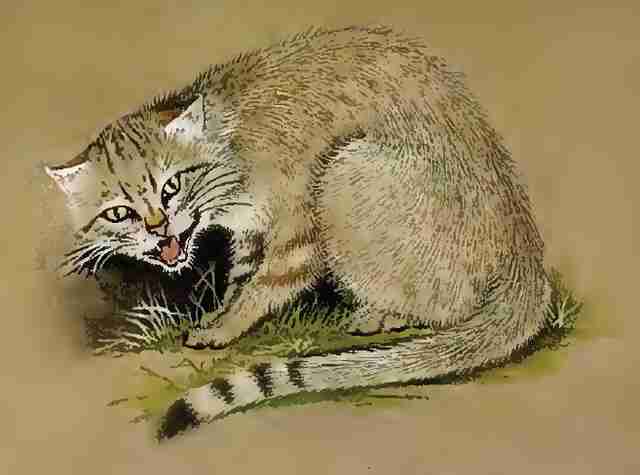 The earliest evidence suggests that cats may have been domesticated in China around 5000 years ago. Regardless of the exact details, we know a few things -- first, that cats were likely valued for their rodent-killing abilities, preventing mice and rats from munching on human grain stores. Second, the cats who were most adaptable to living around humans are probably the ones that led the way to becoming pets. 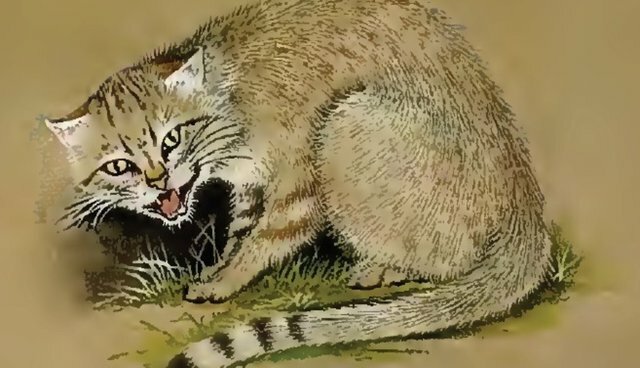 The Arabian wildcat Felis silvestris lybica is the ancestor of all domestic cats, and is considered fairly tractable in captivity, showing many affiliative behaviors toward humans. They also look remarkably similar to our pet cats. Given the "tame-ability" of their ancestor, and based on the fact that a lack of early socialization can cause cats to behave more like wild animals than pets, it's still an open question as to whether cats are actually domesticated. Natural selection has acted more on cats than artificial selection, with 97% of mating cats choosing their own partners, so to speak, rather than being actively bred by humans. The lack of human selection on specific traits in cats means that they have probably changed little since their first appearance on the human playing field. Domesticated or not, they have been living in our homes for a few thousand years. Now, when you think of "cat people" in history, who first comes to mind? Most likely, the Egyptians. Egyptians were devoted to their pet cats, and as a culture revered cats on a scale unlike any other (until perhaps, today). Egyptians were generally passionate about all animals, not just cats. They likely tried to keep many wild animals as pets, including early records of one injured cat (3700 BC), whose remains indicated he was too severely injured to survive without aid. Egyptians shaved off their eyebrows to mourn companion cats who had died, and there were severe penalties for taking the life of a cat; many people were even buried with their pet cats. But while Egyptians are typically credited with their worship of cats and beliefs in cats' magical properties, this worship may have been a mixed bag for cats. 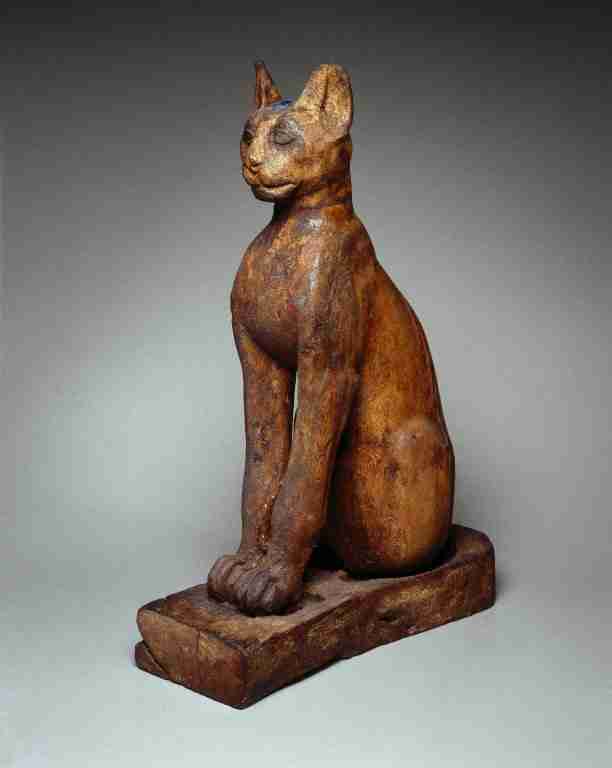 Offering cats to the gods and being buried with a cat became sort of "trendy," leading to a huge demand for cat mummies. Catteries raised, killed (by breaking cats' necks - apparently exempt from those cat-killing penalties) and mummified thousands of kittens and cats so that people (probably the wealthy) could be buried with an offering to the gods. Perhaps the first example of how trendiness did not necessarily enhance the welfare of cats. 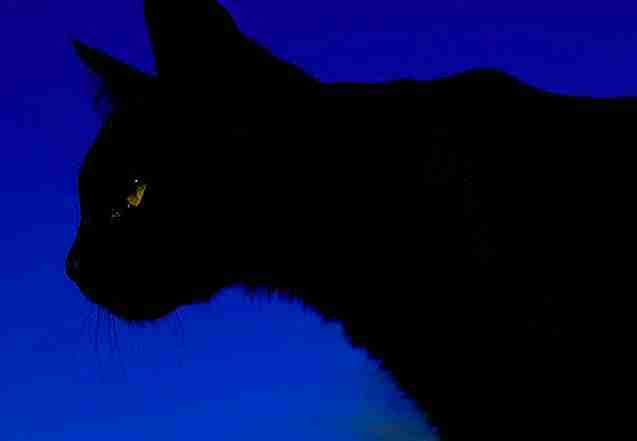 As cats spread throughout Europe, they fell out of favor and became associated with paganism and the occult. The attribution of "smothering" powers to cats (which persists to this day!) may have been due to human allergies and asthma, not magic. Cats were associated with women, female sexuality, and with witches in particular; in general, this wasn't good for women or cats. In the Middle Ages, being a woman with a cat meant that Pope Gregory IX sanctioned your murder (and your cat's), as you were assumed to be a witch. Cats were burned and sentenced to death in trials. Some cat owners would try to protect their pets, then face inquisition themselves. To be a cat person in the Dark Ages meant persecution, being a witness to great abuse of cats, and perhaps watching as your own beloved pet was tortured and killed in the name of Christianity. Dark days, indeed. However, in a turn that could be worthy of a Darwin award, cat-killers found themselves in a bit of a pickle when the plague struck, and it is possible that cat-owners actually had a better chance of surviving the terrifying disease that was spread by rodents (although it appears that humans were actually better carriers of the plague than rats were). This may have been the first time since the Egyptian period that cats were recognized for their value as predators. In addition to their association with witches, cats have often been linked with the arts and the ruling class. In the 1700s in France, an owner of a print shop treated his workers poorly, and treated his wife's cats very well (hmm, what does this say about cat people? ); fed up with such treatment, the workers rebelled one day by torturing and killing the wife's favorite cat, then moved on to killing every cat they could find. This highlights what I find most fascinating about humans' relationships with cats – the ferocity of the love and the hate. The extremes of worship and violence that few other animals (especially ones we live with by choice) have evoked are part of what makes identifying as a cat person important to me. I feel fascinated by AND protective of this species I love. Lots of things have changed in the last millennium, making it easier to be a cat person. Kitty litter was developed in the 1940s, allowing us to keep our pet cats indoors, even exclusively. Not long afterward, widespread spaying and neutering of cats allowed both population control and the curbing of undesirable hormone-related behaviors such as roaming and spraying. These two factors could be considered turning points in the cat-human relationship, as they brought cats closer than ever to us, physically and possibly emotionally. Mysterious, exotic, graceful, dangerous, loving, evil, beautiful. They have held many roles since coming into our lives: protecting our food, sleeping in our beds, living in bookshops and on docks, surviving on the streets, even residing in the White House. Cats have always led a double life; not quite wild, not quite tame. This paradox is just part of what I think propels the current cat-obsession, and what turned some of us into "cat people" people in the first place.